It's been a very busy couple of weeks for me. 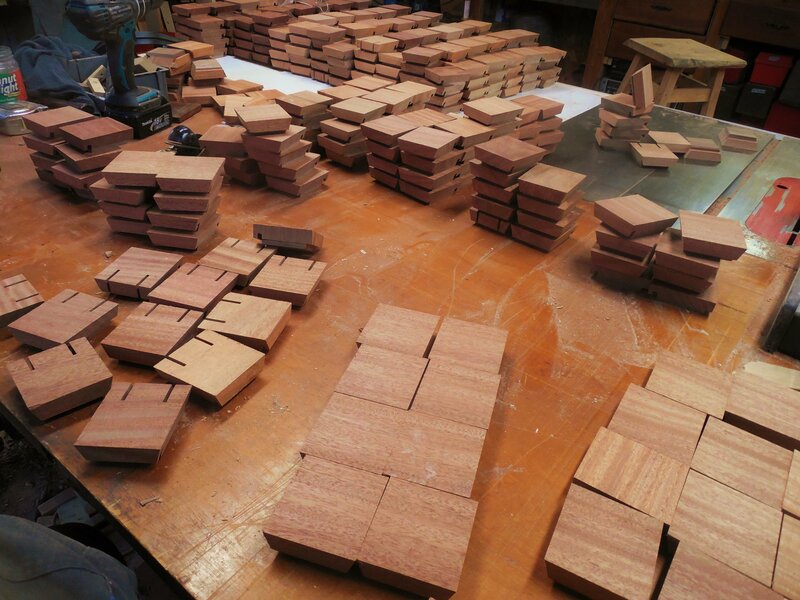 The biggest advances in the box progression are beginning glueups for the Curly Maple bottoms of the boxes and trimming the mahogany sides of the nonagon puzzle. I'm very pleased with my box sides...the fit is as near perfect as I could ask for and the amount of hand finish needed to clean up rough spots will be minimal. I'm super excited to see feedback on this puzzle because I was able to add a few extra bevels and other details that really give this box a wow factor. The Maple bottoms of the boxes have turned out to be quite more involved than I first thought, and progression has been slow but steady. 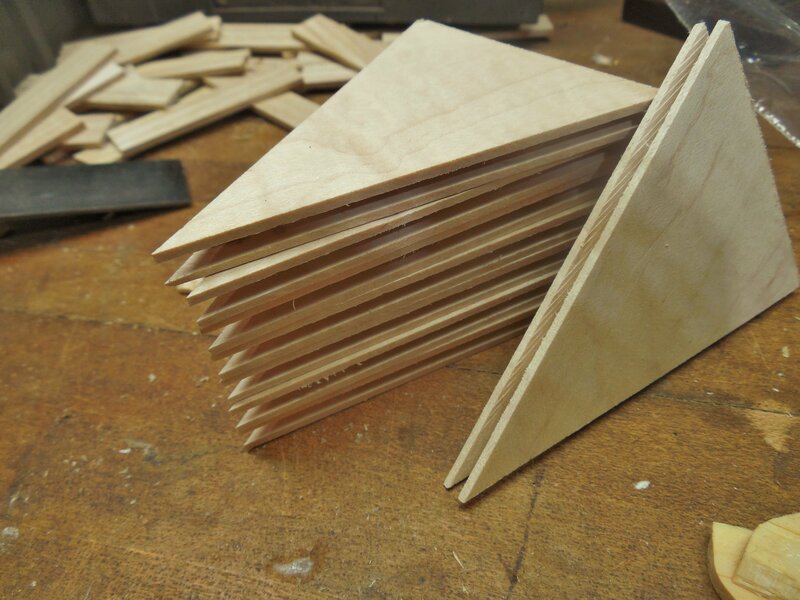 The bottom is made up of nine triangles that fit together to form a perfect nonagon; all nine triangles are grooved and splined for long lasting strength. 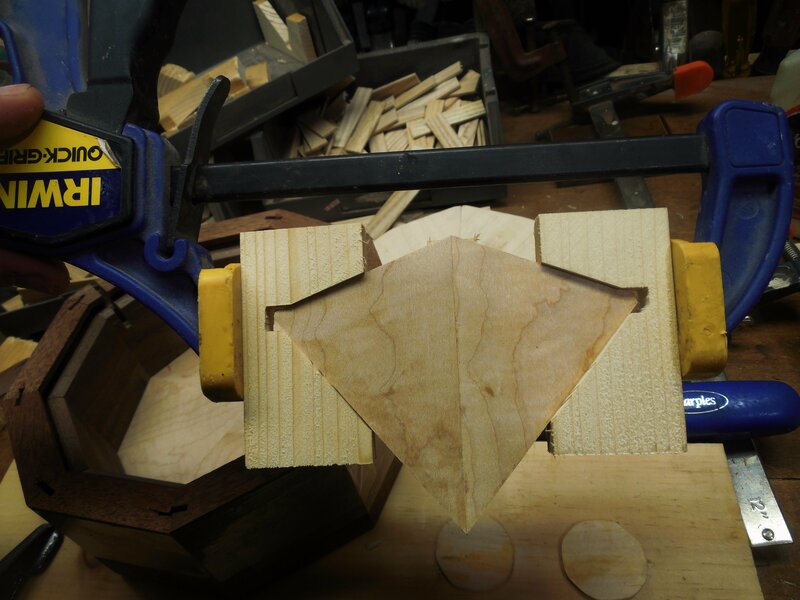 I originally thought I would be able to glue up the bottoms in one step but I've since found that I need to join pairs together via special clamping vices and eventually fit five pieces together in the final glueup. I'm finishing up January fairly well pleased with the work I've done so far. 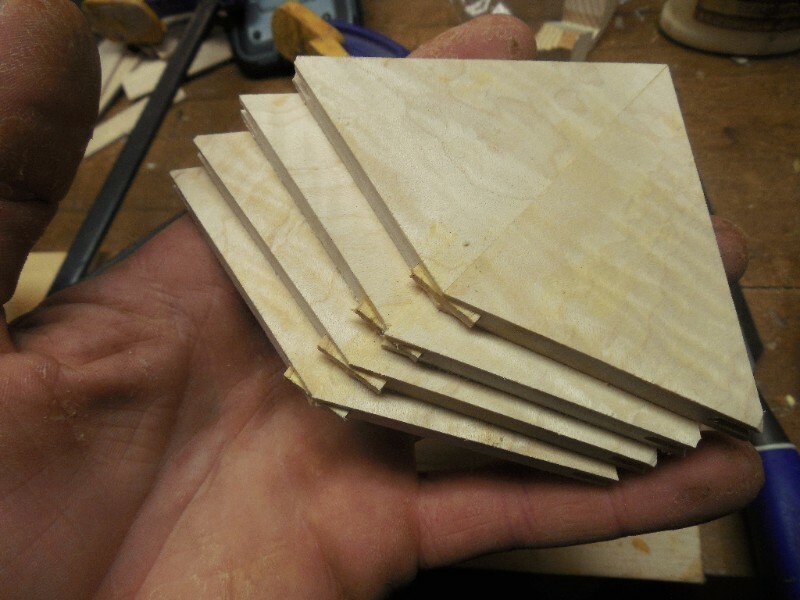 Basically I've milled 90% of my parts needed to at least dimensional requirements. February will be a month of glueups and possibly even some pre-finishing on some parts of the puzzles. My goal is to have March be my finish and final alignment/inspection month. I can't say for sure I'll meet these goals but I've been striving toward them and so far succeeding. Glueups can and will be very tricky at times so I may really get held up in February...we shall see!